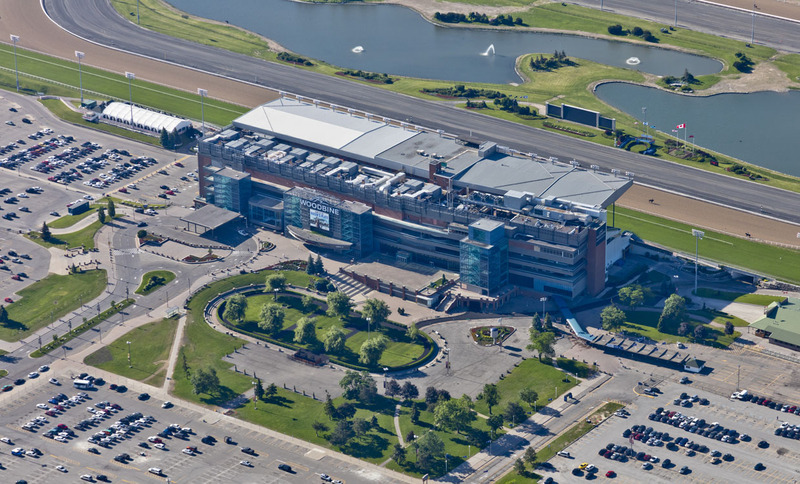 The multilevel 1956 Woodbine horse racing track – the only one in North America that is capable of staging thoroughbred and standardbred horse racing programs on the same day—has undergone base building improvements, additions, renovations and gaming expansion to remain an action and entertainment destination, all under one roof. Located near Pearson International Airport, the popular hub required improvements to over 100,000 SF of space. EXP began with alterations and conversions to the first floor slot machine gaming facility and OLG Slots that features over 2,500 slot machines. Structural engineering for the extensive renovation and expansion included new large entry signage structures, exterior stair towers with spanning canopies, new escalators, a new jockey facility and paddock, a new and extensive roof top grillage, and screen to house the building’s new mechanical system. Part of the ongoing work, our detailed condition survey for the five phases of work involved the grandstand and surrounding areas, exterior masonry, paddock areas and corrosive de-icing chemical usage areas. To date, EXP provided geotechnical and building envelope services, from assessments and repairs to inspection and testing on various projects. On-going structural and geotechnical services continue for the site master planning and phase 1 development.